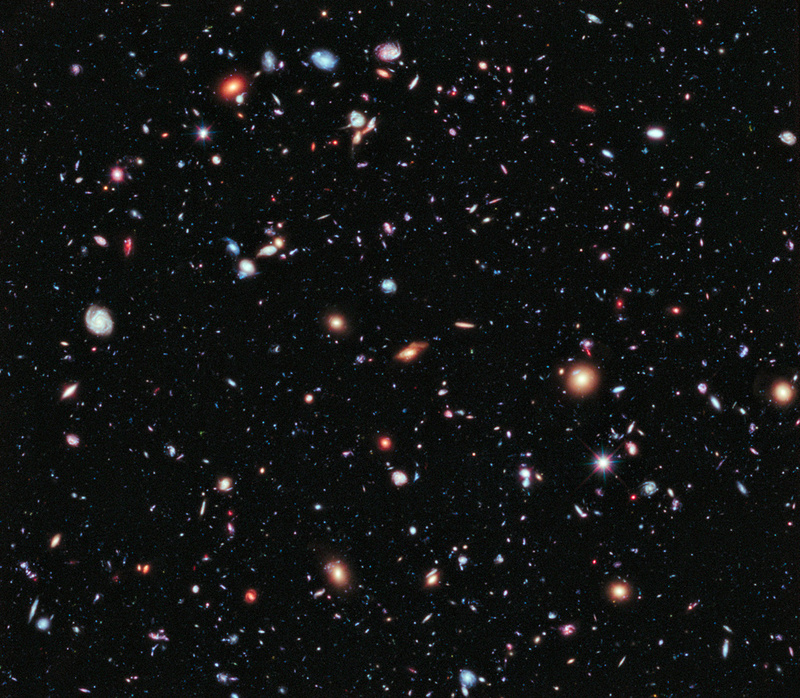 Called the eXtreme Deep Field, or XDF, the photo was assembled by combining 10 years of NASA Hubble Space Telescope photographs taken of a patch of sky at the center of the original Hubble Ultra Deep Field. The XDF is a small fraction of the angular diameter of the full Moon. The Hubble Ultra Deep Field is an image of a small area of space in the constellation Fornax, created using Hubble Space Telescope data from 2003 and 2004. By collecting faint light over many hours of observation, it revealed thousands of galaxies, both nearby and very distant, making it the deepest image of the universe ever taken at that time. The new full-color XDF image reaches much fainter galaxies and includes very deep exposures in red light from Hubble's new infrared camera, enabling new studies of the earliest galaxies in the universe. 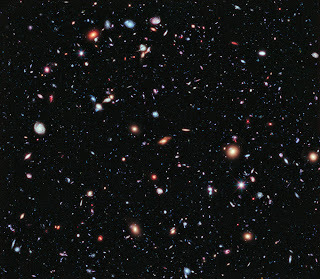 The XDF contains about 5,500 galaxies even within its smaller field of view. The faintest galaxies are one ten-billionth the brightness of what the human eye can see. Hi, every time i used to check website posts here early in the break of day, as i enjoy to gain knowledge of more and more. We're a gaggle of volunteers and opening a new scheme in our community. Your web site offered us with helpful information to work on. You have done a formidable task and our entire community will likely be grateful to you.